Max and Max For Live were used to build the device. In this, the final episode of our guitar processing extravaganza, we are going to step away from making effects and focus on performance support. For a system as complicated as this, performance support means two things: patch storage and realtime control. Thus, we will learn to create a preset system and manipulate the various on-screen controls with an inexpensive MIDI footpedal system. 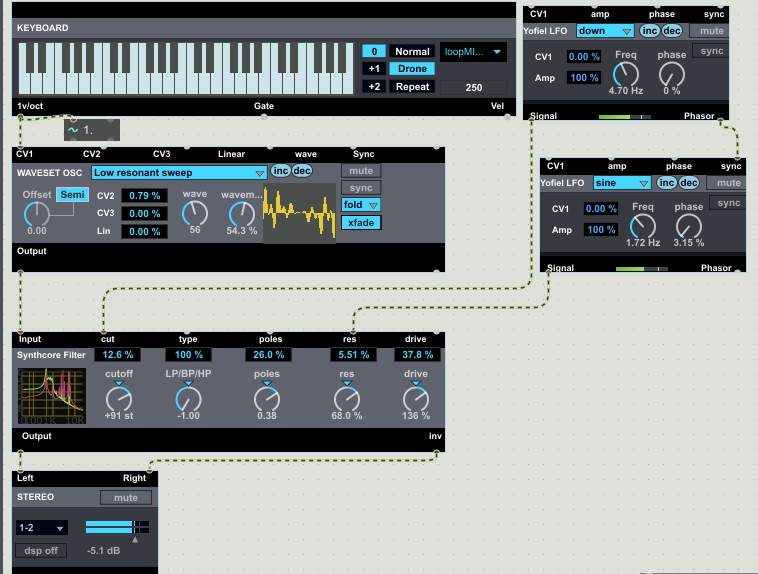 In the last article, we added some basic tonal effects: distortion/overdrive and EQ/filtering. This time, we will expand our virtual effects rack to include both a phase shifter and a full-featured modulating digital delay. As we add these effects, you will begin to see why a DIY effects system can trump any commercial product. 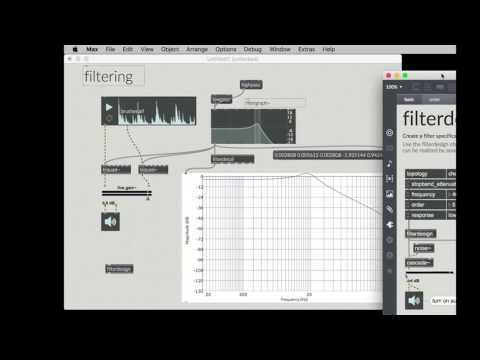 An audio filtering effect for Ableton Live built in Max for Live. I've teamed up with Ben Bracken for this series of simple tutorials that will get you shredding your shreds faster than you thought possible. 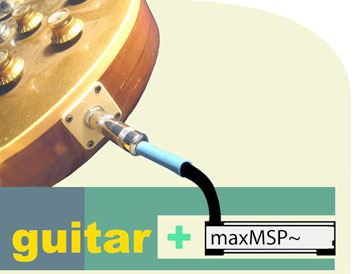 This first article will address the essential hardware concerns and introduce some basic concepts in designing guitar effects in Max. 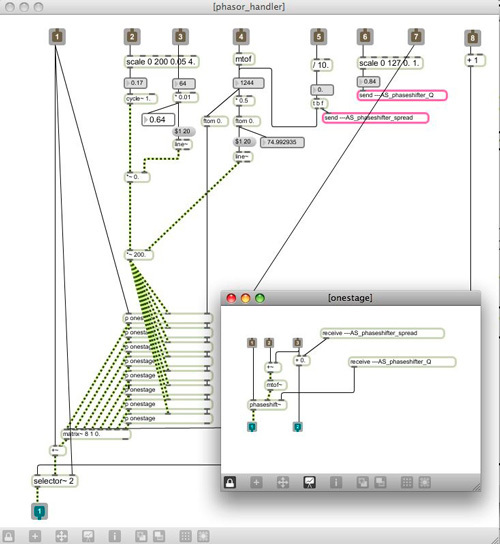 Future articles will address different controllers, more advanced effects, automation, and other techniques to get the most out of MaxMSP in your live rig.